October is here and 2014 is almost at an end. Scary, isn’t it? Speaking of scary, this month’s torrent of cinematic terrors is enough to keep you firmly in Halloween mode. Manchester’s highly popular horror shindig Grimmfest (2-5 Oct) takes centre stage, with a weekend full of film nasties in what has to be its biggest year yet. There’s lots to see (read our full rundown), but Friday’s Argento cut of Dawn of the Dead and Saturday’s screenings of Vampy kiwi-comedy What We Do in the Shadows and Zombeavers are sure to be highlights. Meanwhile, Manchester’s Cornerhouse has a dragstravaganza up its sleeve when legendary filmmaker, cult movie icon and drag queen superstar Peaches Christ arrives for an evening of film fun and debauchery on 11 Oct. Direct from San Francisco, Peaches will be in town to introduce a screening of Roger Vadim’s campy-classic Barbarella in her own larger-than-life way. Expect a fully immersive and interactive pre-film show, complete with a ‘Bearbarella’ parody event and a fancy dress Orgasmatron Challenge. We know what you’re thinking: we had you at ‘Orgasmatron,’ right? 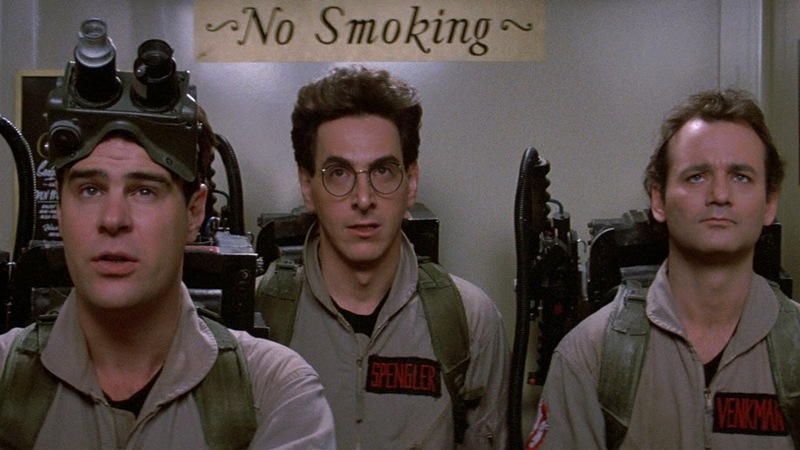 Dust off those proton packs because there’s something strange returning to your neighbourhood this month as Ghostbusters’ anniversary run haunts a number of Manchester and Liverpool cinemas for one day only (28 Oct). Ivan Reitman’s ectoplasmic comedy is celebrating its 30th birthday and it doesn’t take a remastered print to see that it hasn’t aged a day. Prefer to see something new? Don’t miss paternal creeper The Babadook when it arrives at select AMC and Vue cinemas (24 Oct). Aussie director Jennifer Kent’s chilling bedtime story of a troubled child with a bogeyman that just won’t disappear is sure to be the perfect Halloween treat. Talking of everyone’s favourite night of sweets and mischief, head to Liverpool’s FACT on 31 Oct to see director William Friedkin’s cut of The Exorcist resurrected, offering up an extra ten minutes of unseen and unsettling bonus footage guaranteed to keep you on the edge of your seat. Manchester’s RAD (Retro and Dangerous) team have a dark double bill for All Hallows’ Eve too, featuring cinema’s number one bio-exorcist and three Salem sisters who just won’t stay dead. So ring in the scariest night of the year with Michael Keaton’s powerhouse turn in Beetlejuice and autumnal 90s fave Hocus Pocus back-to-back at Gorilla, complete with the promise of ghoulish cocktails and undead burgers. Scarily good.